This question really galls me. I used to think that people living in a foreign country should learn the language, however, my views about learning the local language have changed. I have learnt the local languages of countries I have lived in before and now I'm choosing not to learn Korean. Don't get me wrong, I've tried. I enrolled in a language class immediately after I got here, but everyone spoke Korean. The only reason they were in the lowest level was they couldn't read. I've try to take other classes, but they conflict with my schedule. Going after work isn't an option since I have a child to take care of. Which brings me to my next point, I'd much rather spend time with her than with a book. Korean will always been there, she won't always be cute and little. I'll have plenty of time to study when she's a teenager and wants nothing to do with me. Another thing that annoys me is that people aren't really helpful. 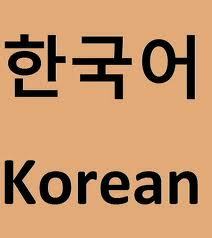 I try to speak Korean and they look at me like I'm an alien, cross their hands in front of them, or switch to English. I've given up to be honest. When calling on the phone I get yobusayo-ed. I used to say, "English?" only to have them continue yobusayo-ing me. Now I speak as much English as quickly as I can, saying something along the lines of "I don't speak any Korean at all, please transfer me to someone who speaks English because I don't speak Korean and I need to talk to someone who speaks English." This usually gets an "oh, chamganmanyo" and I get transferred to an English speaker or they take down my number and an English speaker gets back to me. What I still don't get is when talking to people on the phone they ask me, in Korean, if I speak Korean or if there's a Korean speaker they can talk to (while I don't speak Korean, I can understand a bit). To this I always respond, "If I spoke Korean don't you think I'd be speaking to you in Korean?" or "If there were a Korean speaker here, don't you think I'd give them the phone?" This usually gets me transferred to an English speaker. Only once did I get a guy who laughed right after this and proceeded to then answer my questions in perfect English. Totally! Quite frustrating, to say the least. I got the same kind of treatment in Korea, as I did in the Middle East when I tried to speak Arabic. You really have to go above and beyond the frustration involved. I have yet to do so. One day, I hope to learn enough language to tell people off when they look at me like a dog playing piano after I speak in their native tongue. To learn a language, any language, you need patience, patience and more patience. Specialists say it takes about 10,000 hours of practice before you can speak a language fluently. Also, when non-Koreans speak to me in Korean, I have so much trouble understanding their Korean (very often unintelligible) that in the end I have to switch to English. And believe me I try hard to understand their Korean. Truth is, a lot of my foreign friends think they can learn Korean by studying two hours a week. 5 hours a day would be more reasonable. 5 hours a day is a lot, especially if you work full time.